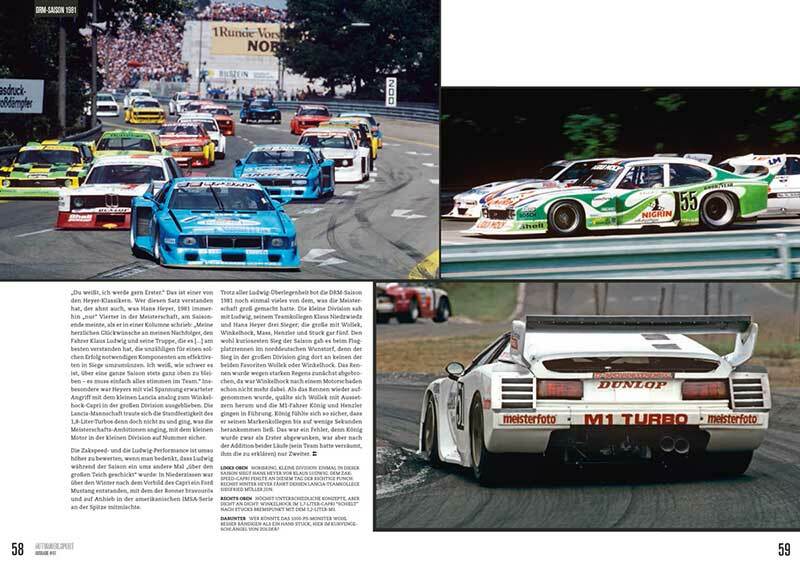 On paper, the Group 5 BMW M1 had all the ingredients needed to match the mighty Porsche 935 on the international stage. 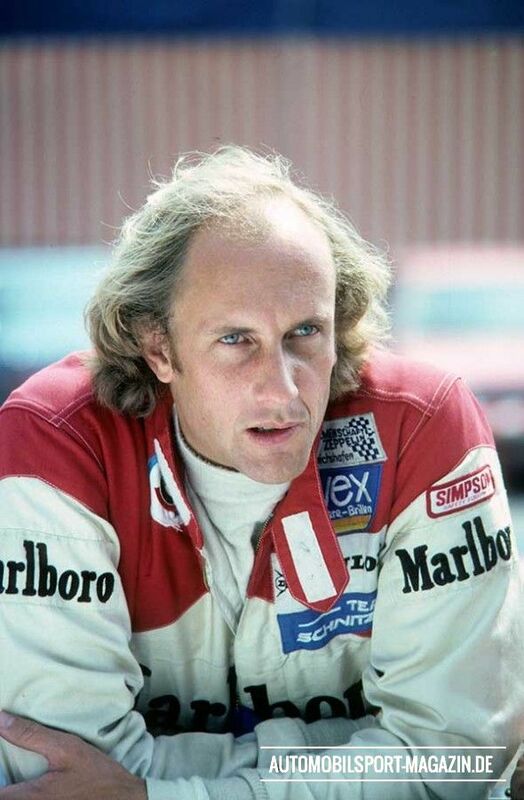 But it took until 1981, right before the Group 5 regulations became obsolete and the Group C sportscar era was about to start, for it to actually happen. 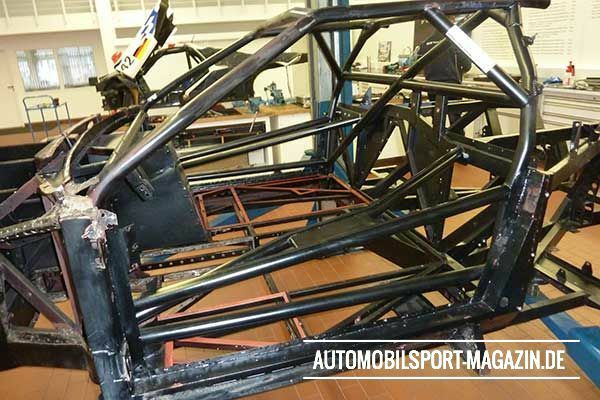 A delayed start to production of the M1 road car meant that there were too few cars finished in time to be homologated for motorsport. 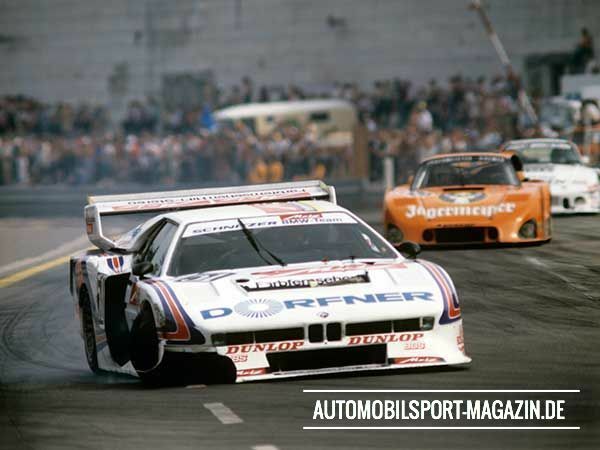 In fact, it was only through special dispensation from Germany's national motorsport commission ONS that the Group 4 BMW M1 (built to Procar specifications) was allowed to compete in the Deutsche Rennsport Meisterschaft (the DRM). 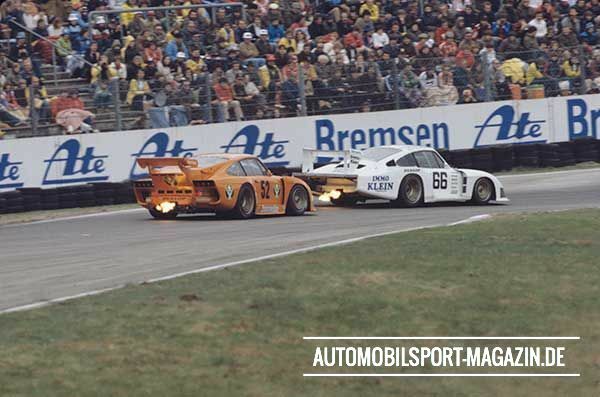 But in Division 1 for over two-litre cars, against the Porsche 935s, the power deficit was around 200 horsepower. 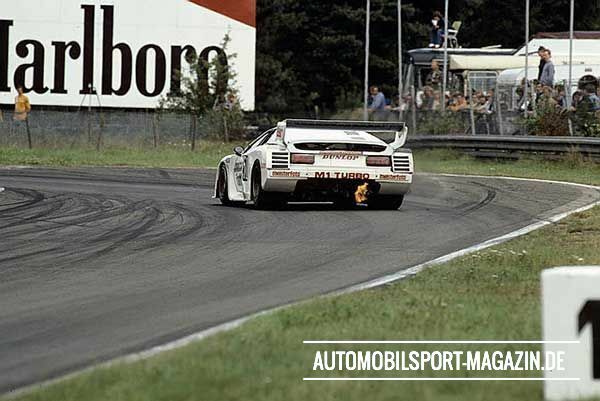 At the ADAC Eifelrennen on the Nordschleife in April 1979, Marc Surer gave the M1 its racing debut – and against the more powerful and race-proven Porsche 935s and 934s managed just ninth place. 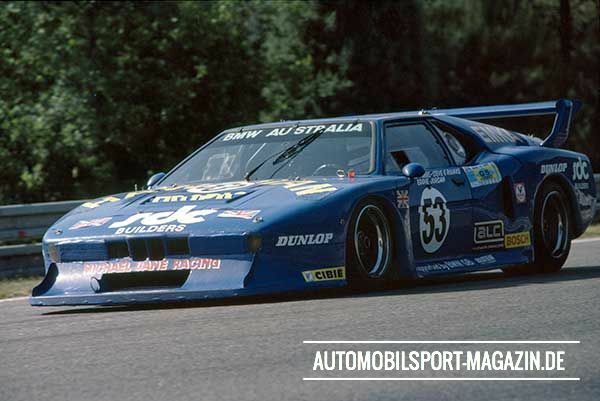 Despite a lack of homologation – and thanks to special permits – there were various outings for M1s in the DRM in '79 and '80, with professional drivers such as Stuck, Lauda, Regazzoni, and Mass, and privateers such as Wolfgang Schütz, Sepp Manhalter, Franz Konrad, Walter Brun, and Ralf-Dieter Schreiber. 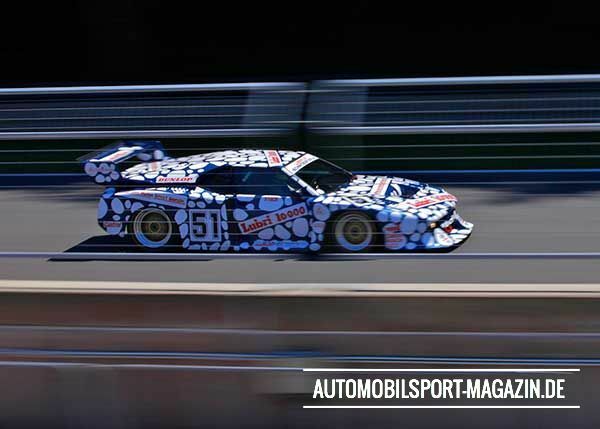 The M1 also raced at Le Mans in '79, Hervé Poulain, Marcel Mignot, and Manfred Winkelhock finishing an impressive sixth outright after entering in the IMSA class. 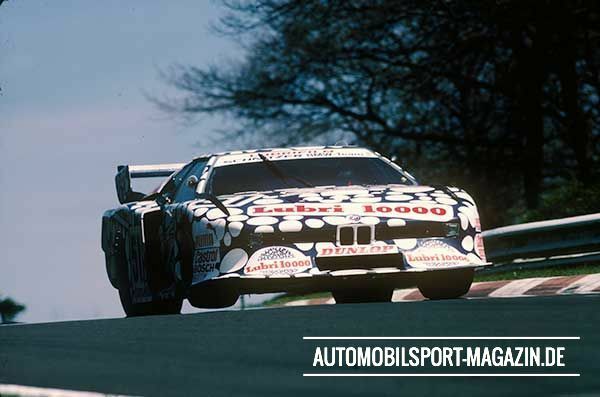 There should have also been a proper Group 5 M1 at Le Mans that same year, something that former managing director of BMW Motorsport GmbH Jochen Neerpasch remembers well: “We were already planning a Group 5 M1, through a joint project with March. 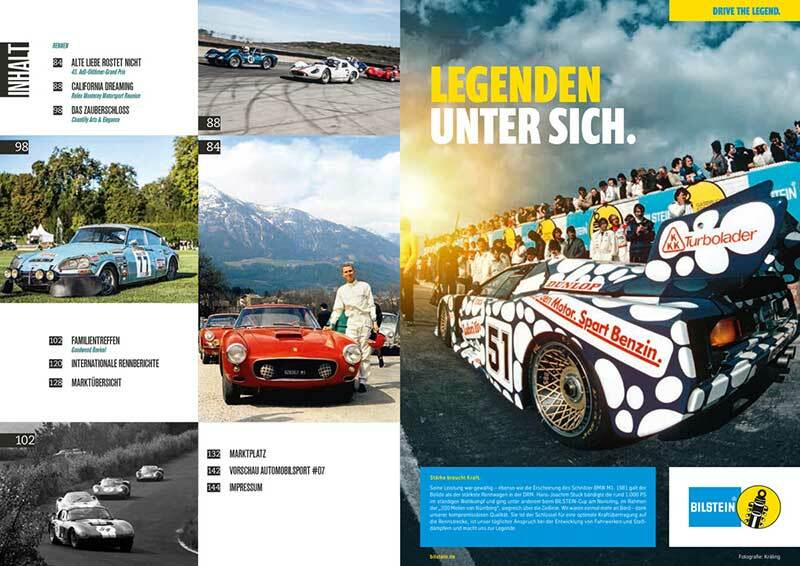 Josef Schnitzer, under the direction of Paul Rosche, had developed a charged six-cylinder engine for the Turbo 3.0 CSL Coupé – and the plan was to use that motor in the Group 5 M1." 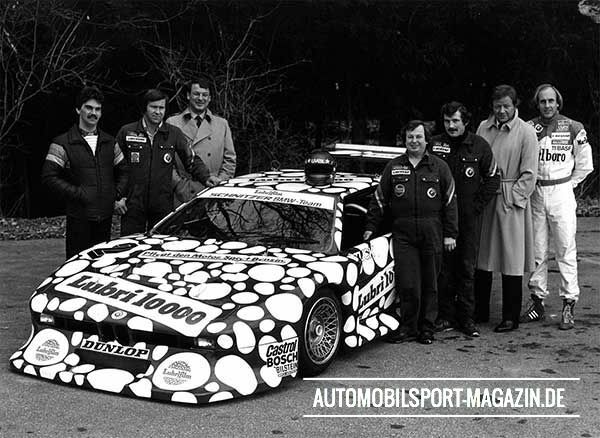 On March 19, 1981 the 'usual suspects' of the DRM (Deutsche Rennsport Meisterschaft) gathered in the paddock at the Zolder circuit in Belgium for the first round of the series' 10th season. 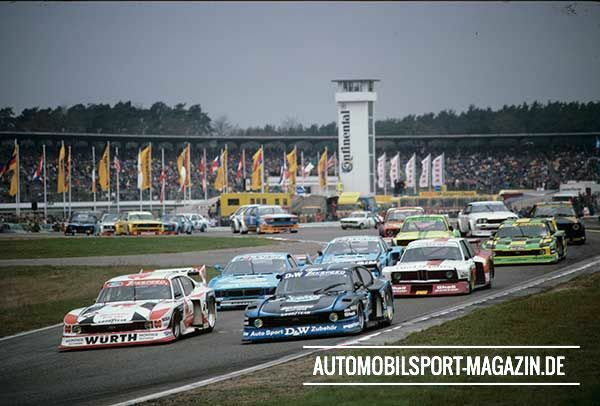 The usual suspects were the likes of the Schnitzer, Kremer, Zakspeed, GS and Joest teams. They were the ones left from the glory days. Others, like Loos, Max Moritz, and Grab had already gone. 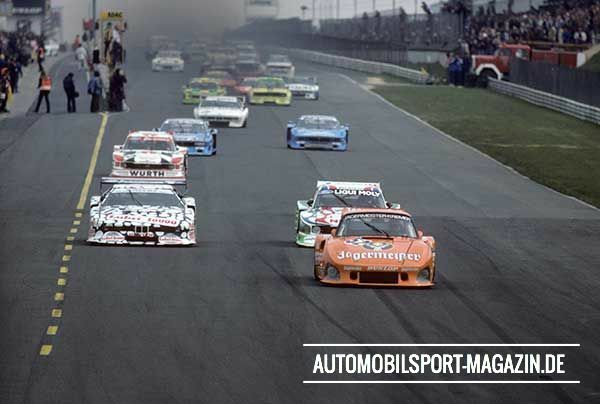 The factory teams from right at the beginning were gone too, and from the many international stars like Hezemans, Schurti, Stommelen, Peterson, Ickx, and Schenken, only a handful remained. What was once considered the best production car series in the world had become too expensive, too overwrought, and no longer relevant. 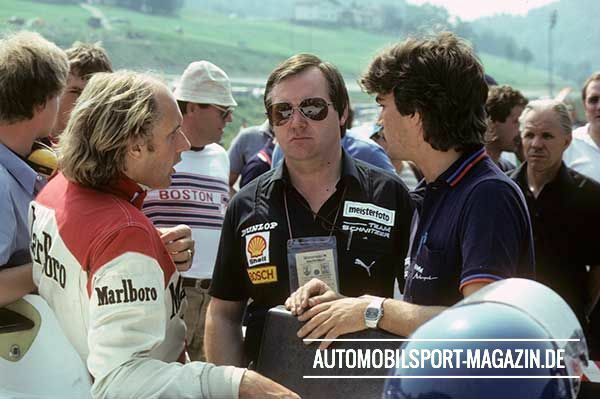 The development of the increasingly finicky Group 5 cars meant the grids had shrunk, with just a few genuine front-running cars left. 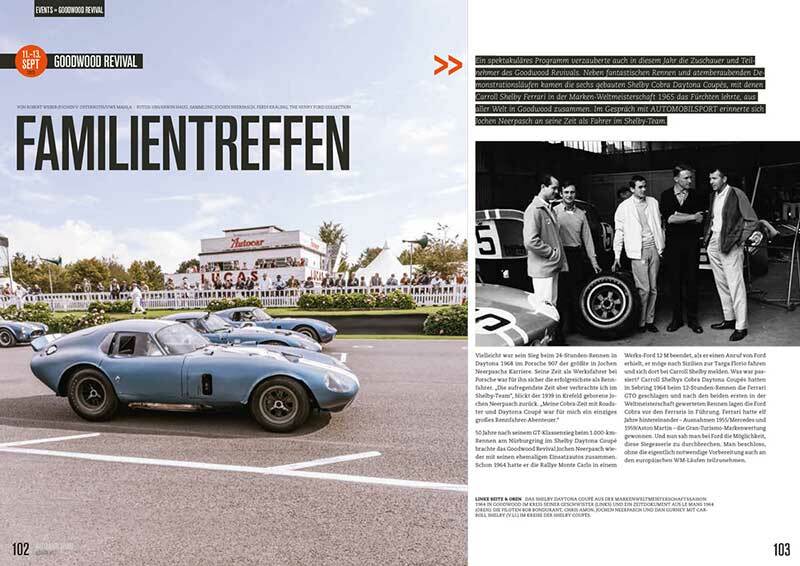 To enlarge the fields, a new class had been created a couple of years earlier; the 'Rennsport Trophäe' – the Racing Trophy – was essentially a race within a race, with a separate pointscore for drivers in Group 4 or Group 2 cars. 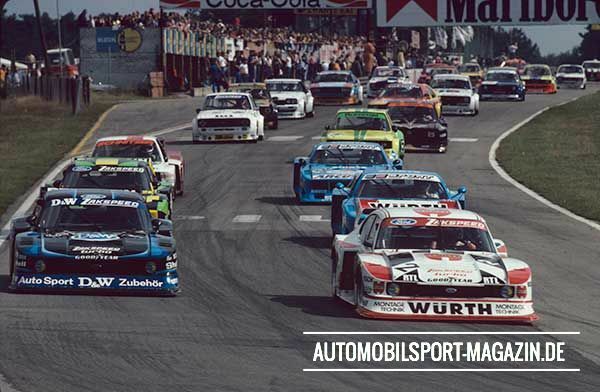 It did create some interesting battles, with German touring car talents such as Selzer, Boller, Vogt, Henzler, Nussbaumer, and Wolf. But it really was a second class, in the shadow of the Group 5 competitors from Divisions 1 and 2. The DRM racing format really was becoming an out-dated model. The 1981 season actually highlighted the fundamental problem with the original two-class system (Division 1 and 2), and why it needed to be abolished. There had already been a decision to do so in principle, but a compromised formula could not be agreed on. So the existing system stayed in place, making 1981 the last season where the champion would be whoever scored the most points in either of the two Group 5-dominated divisions. 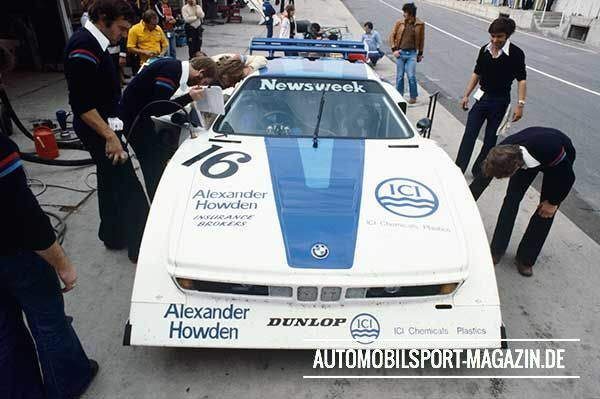 Pre-season favourites for the title were the two Zakspeed Capri drivers, namely the 1979 champion Klaus Ludwig and Manfred Winkelhock, the reigning champion Hans Heyer in the Lancia, and Bob Wollek, who after a stint with the Loos team had returned to his spiritual home at Kremer. 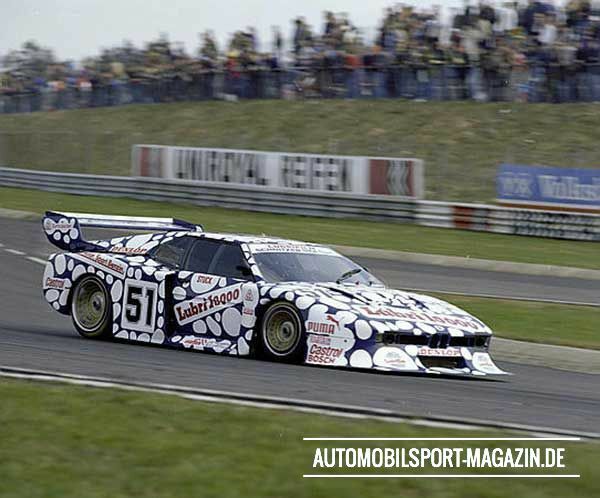 The crew at Zakspeed had developed a clever two-pronged strategy across the big and small classes, and the Capri was perfectly-suited for sprint racing. It was fast enough to win, and as reliable as an everyday workhorse. 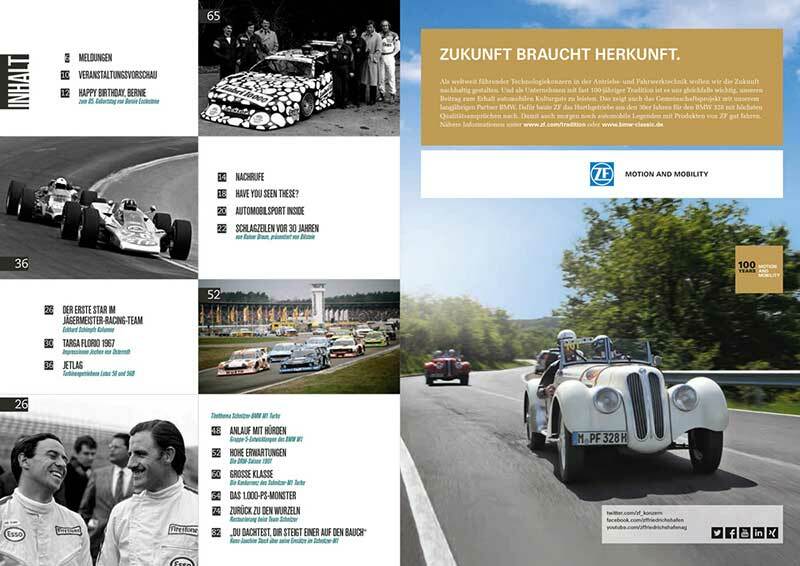 Competition for Ludwig in the 'small' class was coming from BMW and Lancia, and it was not to be underestimated, given the strong performances by the previous year's runner-up Stuck and reigning champion Heyer. In the 'big' class, Wollek was always a tough nut to crack as an opponent. 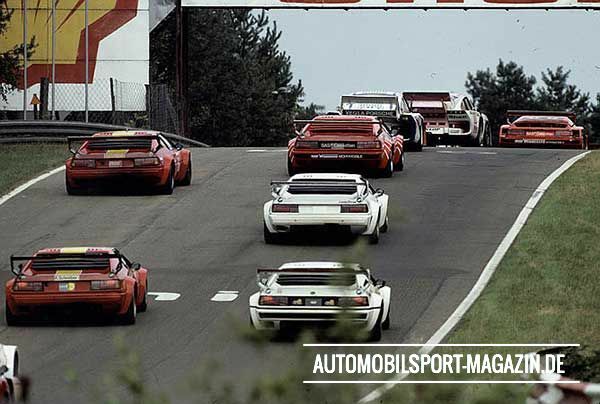 And just where Stuck would stand in the Group 5 BMW M1 was an unknown. 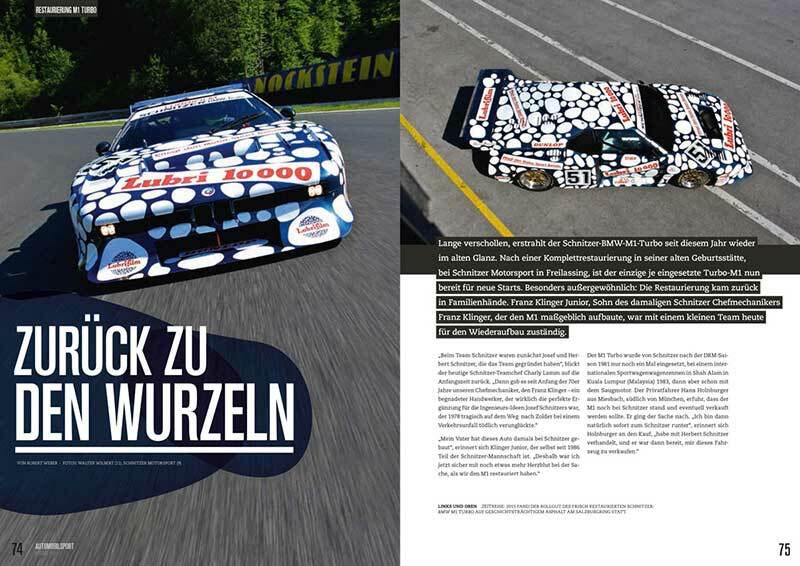 So, Winkelhock started the season in the 'big' Zakspeed Capri in the Division 1, while Ludwig went after the title in the small class. 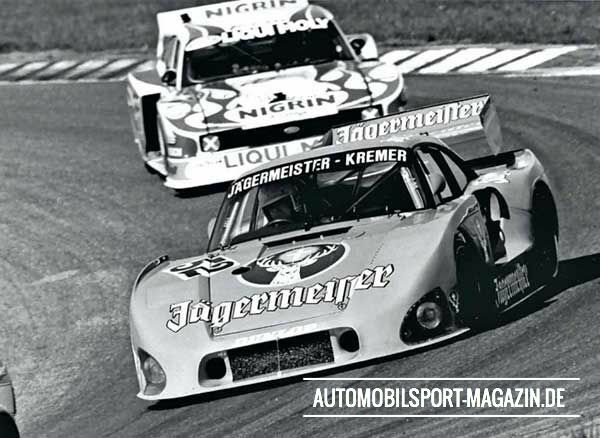 When it came to competing for the top spots in the 1981 German Racing Championship, the Schnitzer M1 had three main rivals; the Porsche 935s from Joest and Kremer, and the Zakspeed Capri. 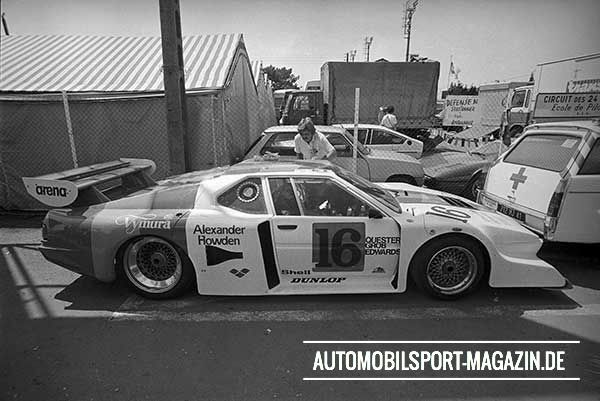 Both the Porsches and the Ford had the advantage over the newcomer M1 of having already been refined over several seasons. 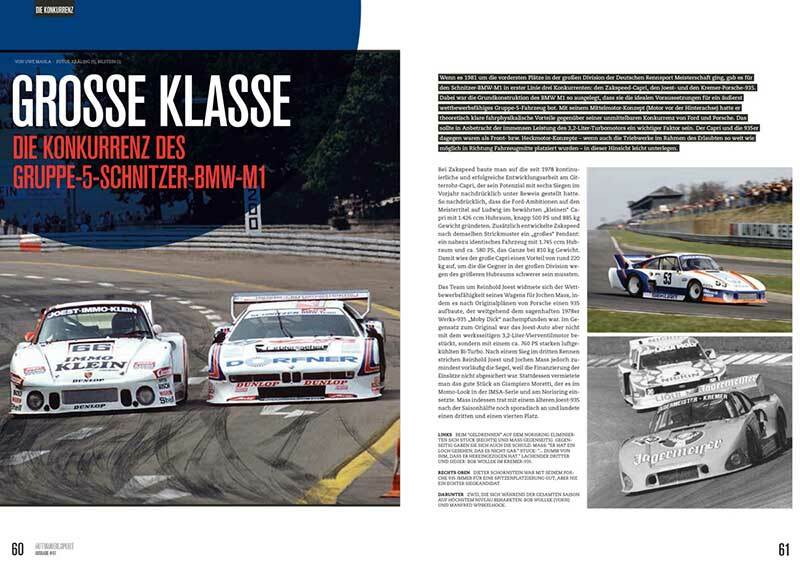 But on the other hand, the basic design of the BMW was perfect for Group 5 specifications. With its mid-engine concept (the motor sitting ahead of the rear axle), the car was theoretically better suited to the job at hand than the Ford and the Porsche. 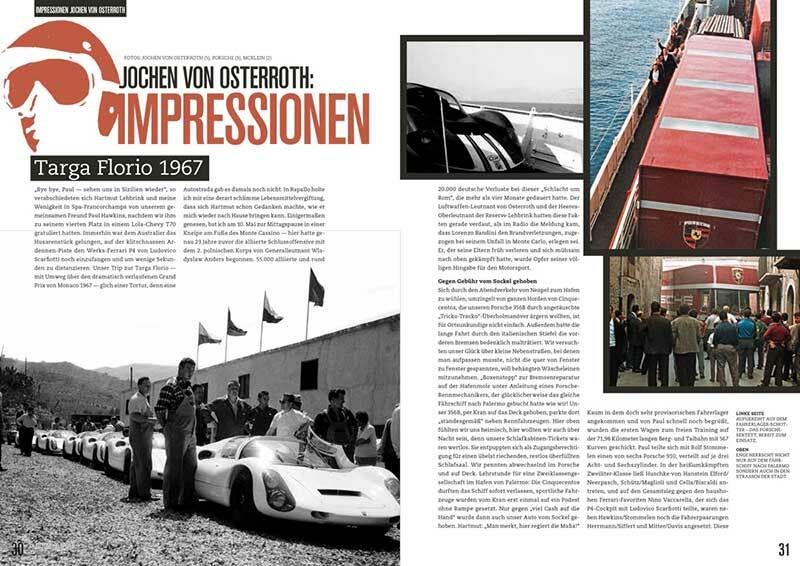 Considering the immense power generated by the 3.2-litre turbo engine, it was an important factor. The Capri and the 935 were front and rear engine designs respectively. 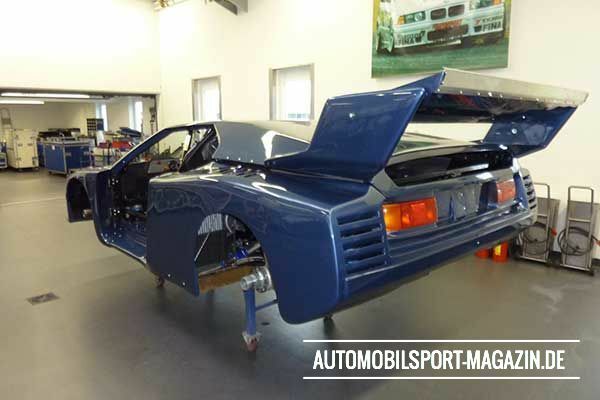 While both had their engines moved as close to the middle of the car as their designs possibly allowed, their weight distribution still was not quite as good as that of the M1. 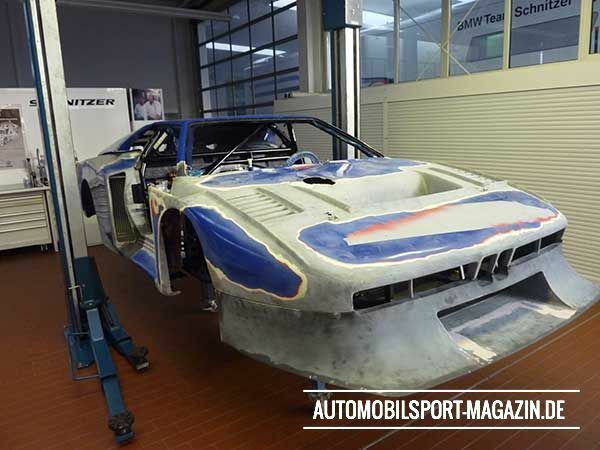 Zakspeed's challenger was a product of ongoing and successful development of the space-frame Capri which started in 1978, and its potential had been clearly demonstrated in 1980 with six wins. 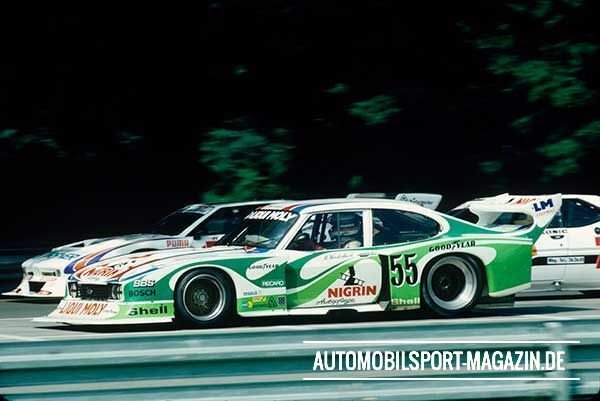 Ford was so focussed on Ludwig winning the title that it developed a small class 2 Capri, with a 1426cc engine, almost 500 horsepower, and weight of just 885 kilograms. 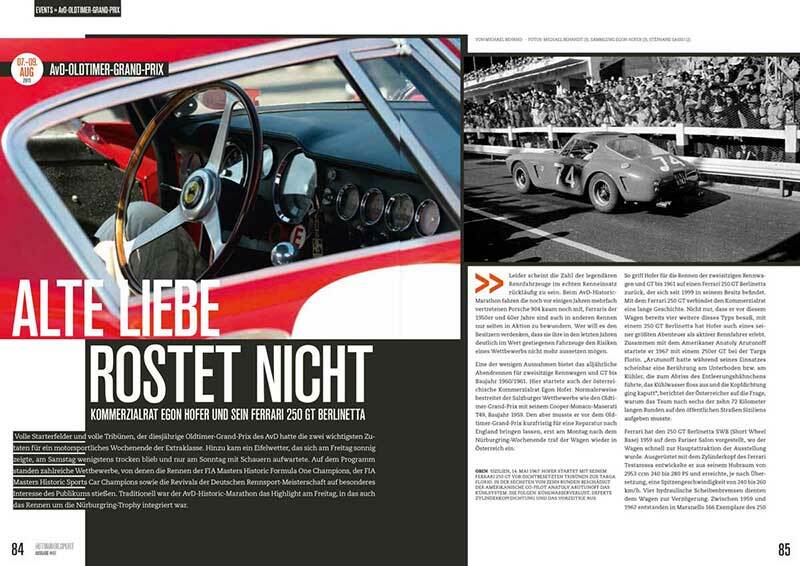 Zakspeed also developed an almost identical Capri for the larger class 1, with a 1745cc engine and 580 horsepower, weighing only 810 kilograms. 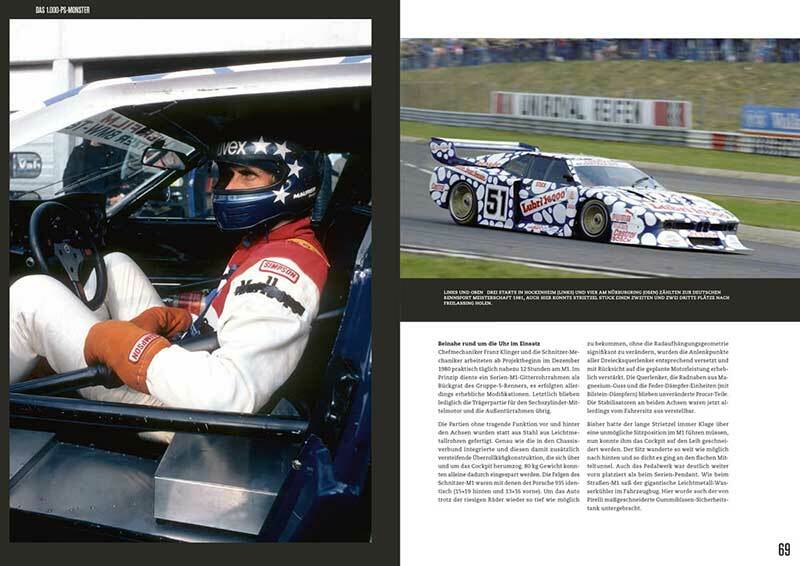 That gave the 'big Capri' a weight advantage of around 220 kilograms over its opponents in the top division, with the larger displacement cars generally heavier. 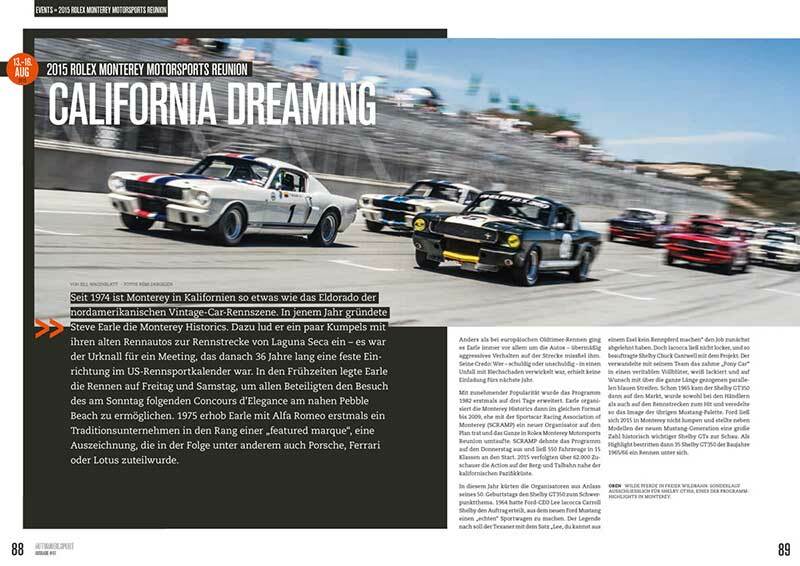 For one, the time just wasn't right, as there were unexpected delays in building the 400 production cars needed for homologation. 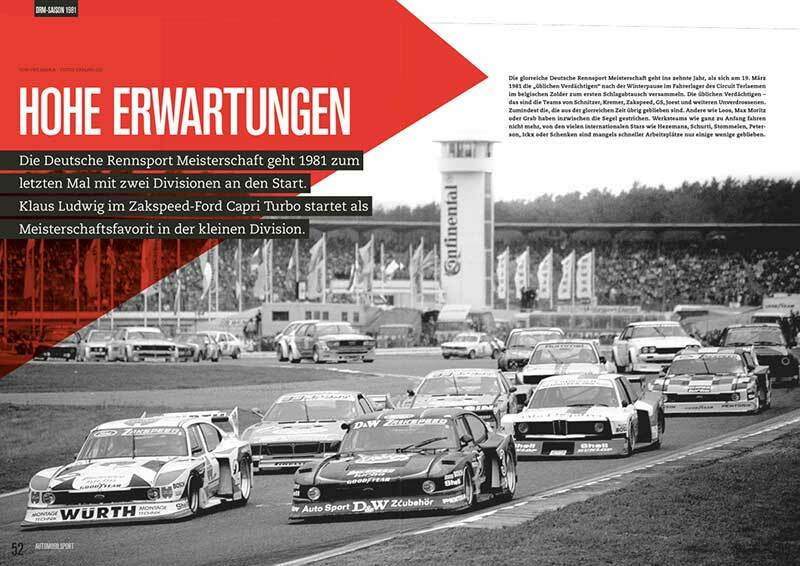 And secondly, Schnitzer's focus was on its 320 turbo DRM program, with Winkelhock in 1979 and Stuck in 1980. 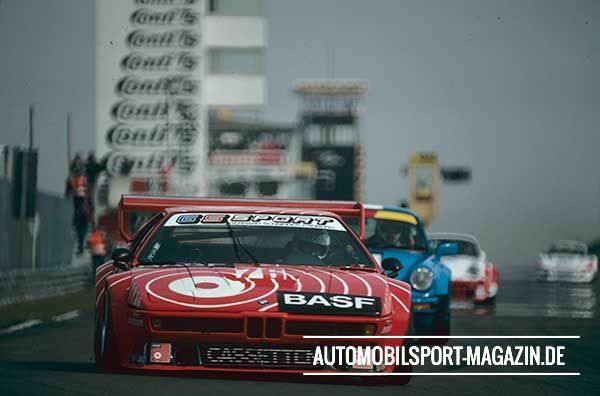 However, through running M1s in the Procar Series for the likes of Sepp Mannhalter, Willi Siller, and Peter Oberndorfer, the team was familiar with the M1. 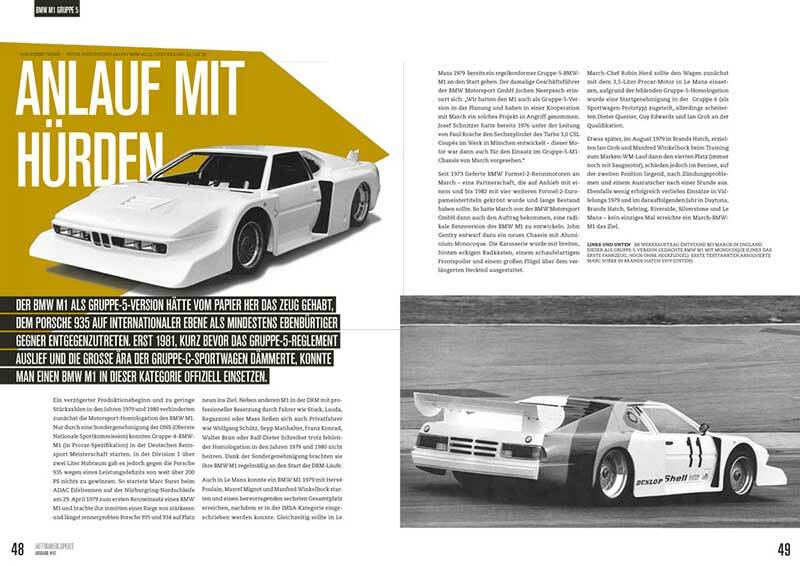 The background story to my time with that crazy M1 actually started at the final round of the previous DRM season at Hockenheim. 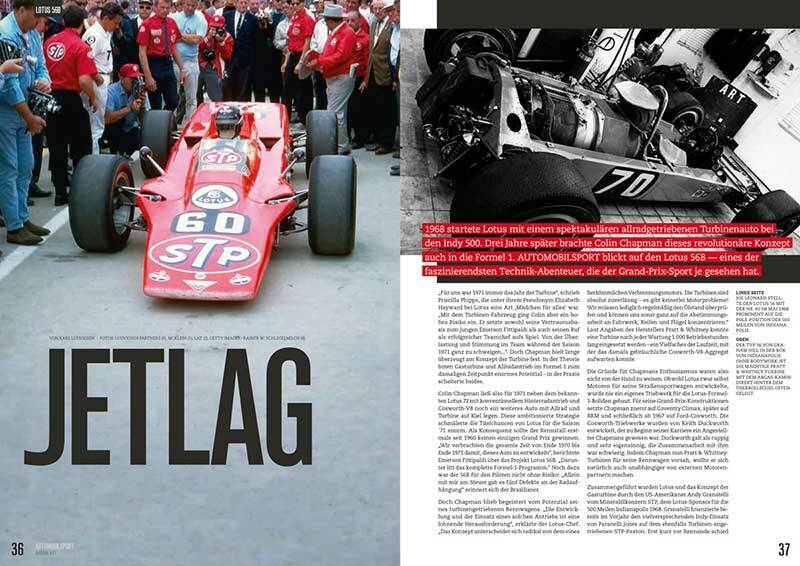 That round decided whether it would be me or Hans Heyer who would be crowned champion – and I was the unlucky one who ended up in the barriers at the ultra-quick Ostkurve corner after a hard fight with Klaus Niedzwiedz. Game over – title gone! But as a team, it only made us stronger; the Schnitzers didn't say a single bad word about it. 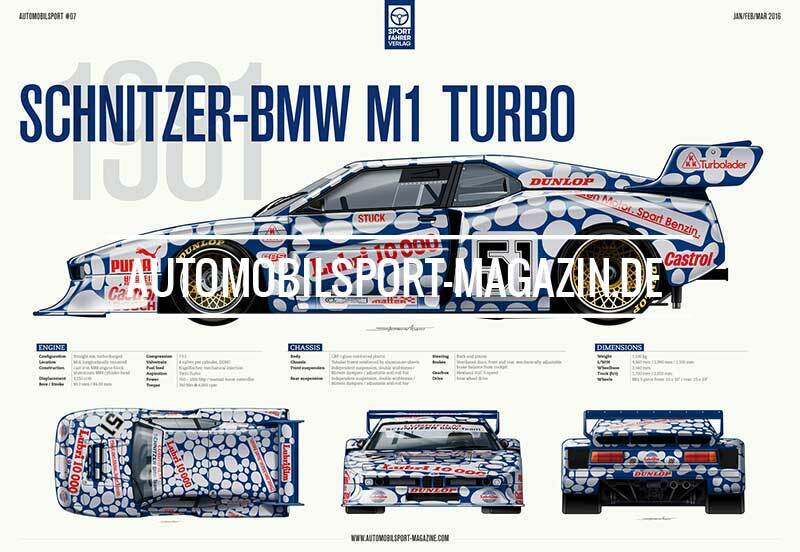 As talk of the M1 Turbo got more serious, and it was expected that BMW's racing director Dieter Stappert would support me in joining that program, I got confirmed as the driver. And what an adventure that was! The way the Schnitzer crew really knuckled down spurred me on even more. 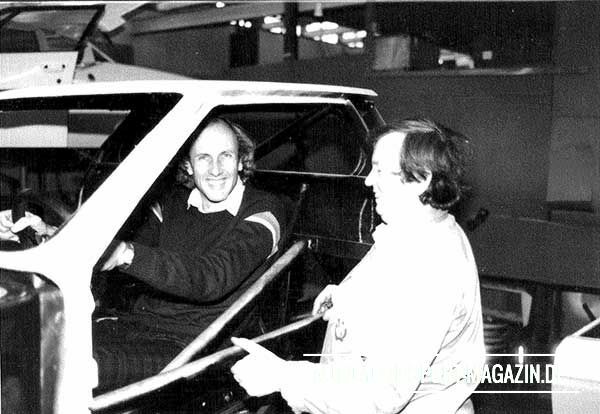 And when things got tricky in the short development phase, BMW, and Rainer Bratenstein in particular, were there to support us. The first thing I remember is the 1000 horsepower that we tuned up in practice. The thing had so much acceleration that it felt like someone was kicking my stomach. 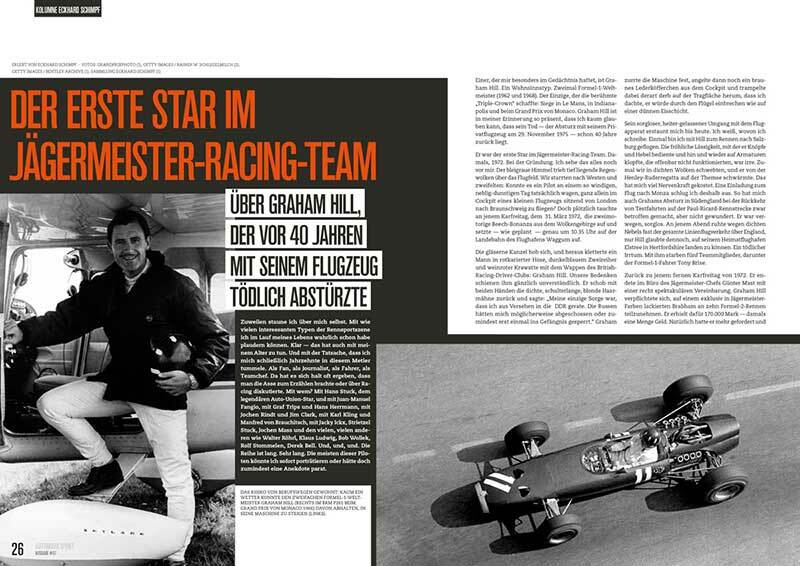 And the car had a bizarre phenomenon that we couldn't quite explain; when you were in top gear, and at the Salzburgring that was close to 190 mph, it would suddenly become completely silent inside the cockpit. It was like I was flying. It could have been due to the vibrations, it could have been an aero effect. Nobody knew for sure. But it was so quiet it was almost scary. As you'd expect, we had plenty of problems at the beginning. 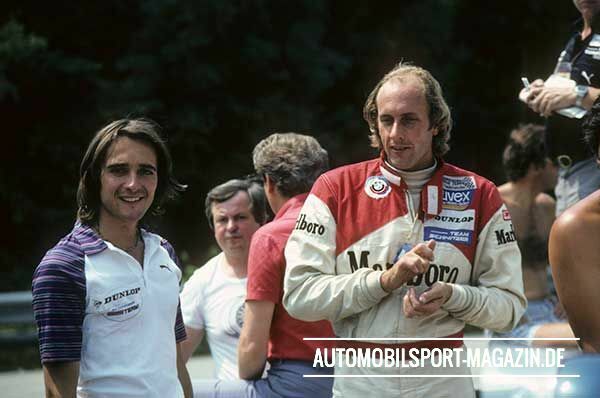 Still, I managed to finish on the podium with Bob Wollek and Jochen Mass at just the car's second race. It took a few weeks, and a lot of learning, for us to get right on the pace – and at the Norisring we really saw the car's potential. 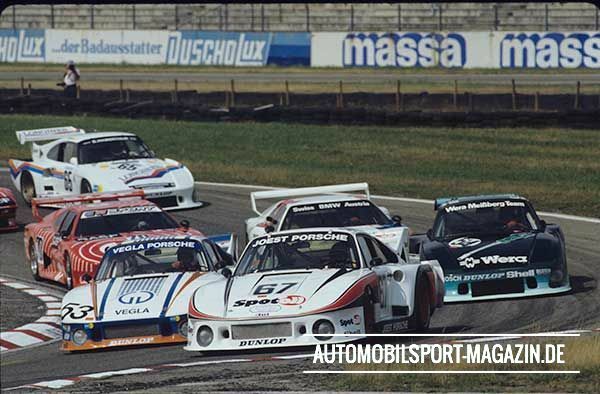 There we won in front of a sold-out crowd, and more importantly in front of the entire Porsche 935 brigade and even Manfred Winkelhock's miracle Capri. 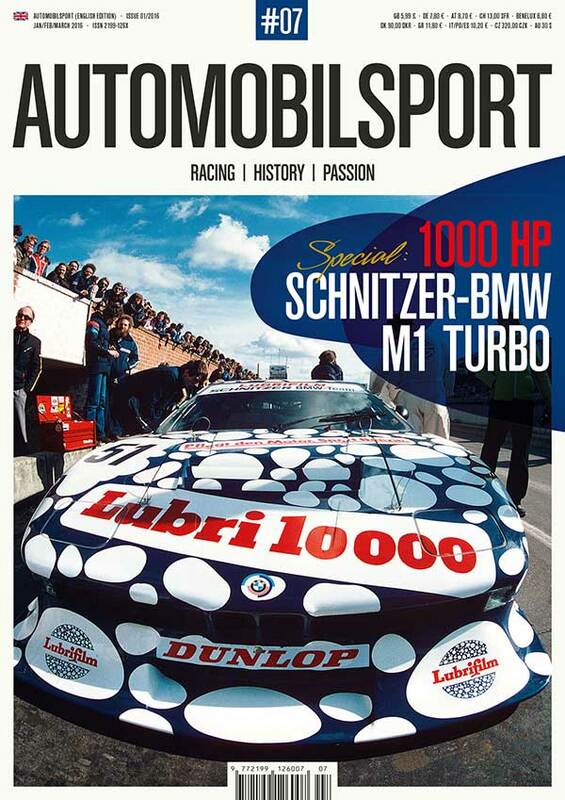 This year, the long-lost Schnitzer BMW M1 Turbo was restored to its former glory. 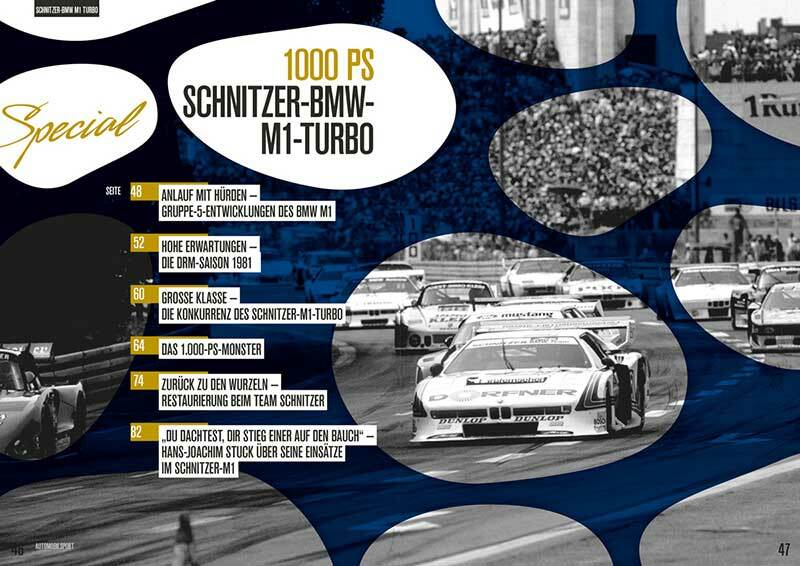 Thanks to a complete restoration at its original birthplace – Schnitzer Motorsport in Freilassing, Bavaria – the only ever properly used M1 Turbo is ready to hit the track again. Truly extraordinary: the car came back into the family, as it were. 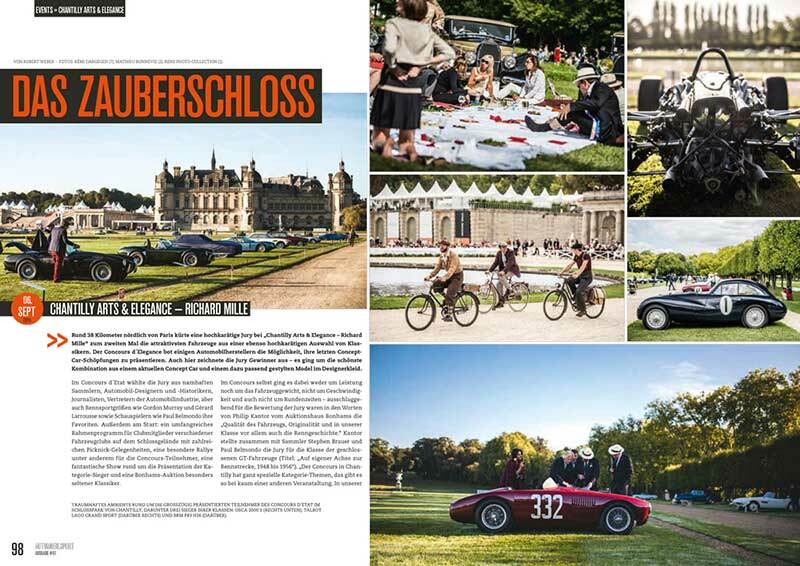 Franz Klinger Junior – son of former Schnitzer mechanic Franz Klinger, the man who was instrumental in the original build of the car – took care of the restoration with a small team.